Who should be the next Sunderland manager? The newly vacated Sunderland job is a very desirable one. The new manager would inherit a decent but under achieving squad and in the summer would get plenty of money to spend. 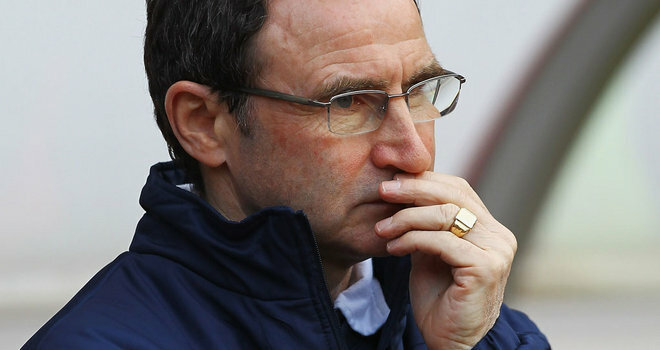 Martin O’Neill spent £30m this season and there’s no reason to think that the new man wouldn’t get the same. The new man would be joining a club outside, albeit only just, the relegation zone and with some very good defensive personnel. Sunderland’s problems have come from a lack of attacking threat so the new man would have to have improve that. The best time to sack a manager is either the end of the season so that they can plan and implement a full summer window or strategy or in December so that they can do likewise for the January window. The big advantage of a summer appointment is that new tactical frameworks have time to be taught and bedded in. Because of the timing of the O’Neill sacking Sunderland have a difficult decision to make. Ideally, they need an experienced manager who has proven he can drag a team out of trouble at short notice. The problem is though, if the new man does that is he then the man you want to lead the team long term? If they appoint a long term option, usually a younger man, does he have the wherewithal to drag a team out of a spiral of losses this year? With this in mind here are some candidates Sunderland will and should be considering. Poyet is one of the hot candidates outside the Premier League and has been attracting envious glances. Poyet turned down the Reading job last week and was rumoured to be heavily considering it. Poyet has brought slick passing and penetrative attacking play to Brighton allied to a solid defence. He is a very sophisticated tactician and game planner which is exactly what Sunderland need. They’ve been playing some very basic football and need new ideas which Poyet would bring. Poyet tends to rely on his system and using players to best facilitate that so he wouldn’t be so reliant on individual flair as O’Neill was. When his creators didn’t create there was no Plan B. Poyet implements a system of attacking patterns and structure to open defences. He would be an ideal summer appointment rather than rushing him in now but they may have no choice. If they see him as the best option long term then they’ll have to pull the trigger. The doubt is whether he can pull them out of trouble with no track record of doing so but if he can do and they then give him backing in the summer he would be a good option. Di Matteo is going to be the man most heavily linked to the job because he has shown that he can step in to a team mid season and make a difference. He proved himself in the lower leagues with MK Dons and West Brom but then struggled at the latter in the Premier League before being sacked. He won trophies at Chelsea last year but the team was poor in the league and he was sacked this year after more poor league form and a Champions League exit. With this in mind should he really be considered by Sunderland? I would say no. He’s done badly in the Premier League twice, on both occaisions he did worse that the man who also had use of the squad. He took Chelsea down the league after AVB and West Brom went up the league after he was replaced by Hodgson. If he does worse than O’Neill then Sunderland will go down. This would be on a short term basis with the possibility of offering him it full time if he keeps them up. McDermott did a stellar job at Reading and his sacking was ridiculous. The most important thing he has shown is that he can motivate average and struggling players to play above their ability level. 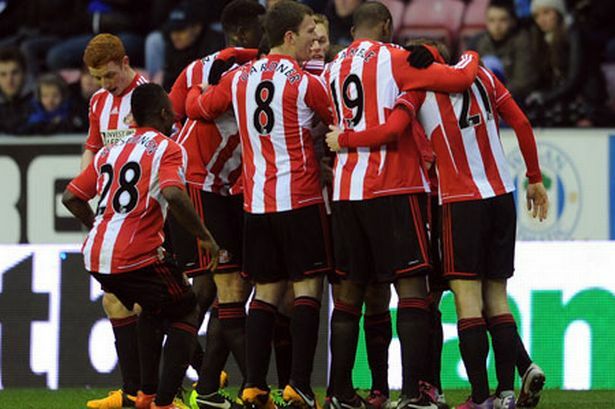 This is exactly what Sunderland need right now. They’ve got some talent in there but they’re playing with no confidence. McDermott is a quality motivator and could come in and make a difference quickly. He hasn’t been given a proper chance to prove hmself in the Premier League so if he does keep Sunderland up, particularly with some flourish, then he would deserve a chance at success with some money to spend in the summer. This is a little left field but it makes sense. Lennon has shown in the Champions League that he can make a group of average players achieve far above what they can be expected to and his team are dominant in Scotland. So why would he want the Sunderland job? Well, he will have vastly greater resources available to him in the Premier League and a chance to prove that he can achieve things when he doesn’t have by far the best playing staff in the league. If he could achieve things at Sunderland it would be a stepping stone towards a big Premier League job, which Sunderland could easily be if their money is spent correctly. Lennon would infuse the team with grit and determination and his teams do score a lot of goals. There’s always plenty of transfer talk throughout the season. So how much of it makes sense, and how much of it is just rumour? Manchester United will refuse to sell Javier Hernandez, 24, despite interest in the 16-goal striker from Real Madrid. What’s the story? Try and read that without laughing. Real Madrid want Javier Hernandez. Seriously? Does it make sense? Of course not. He’s 4th choice at United and probably wouldn’t even be that high up the pecking order at Real. Is the price right? Who cares? Will it happen? 0/10 – Obviously not. Liverpool will offer captain Steven Gerrard a two-year contract extension and plan to reunite him with former midfield partner Xabi Alonso by offering Real Madrid £8.5m for the 31-year-old. What’s the story? Selling Alonso was the most disastrous sale Liverpool have ever made. Yeah they got £30m for him, £20m of which was spent on Aquilani! But since they sold him they’ve dived down the table. When they sold him they’d just finished second with the most points ever for a runner up. Now, they’re around about the top 6 high via the middle of the table. Does it make sense? I don’t see why Madrid would want to sell him but there have been some rumblings of discontent. Is the price right? Clearly £8.5m is a massive bargain. Will it happen? 7/10 – he’s still beloved at Anfield and fits perfectly in to Rodgers’ system. Arsenal are planning to spend £70m on Borussia Dortmund striker Robert Lewandowski, 24, and playmaker Mario Goetze, 20, as well as Bayer Leverkusen defensive midfielder Lars Bender, 23. What’s the story? We all know Arsenal have a propensity for spending binges right? We’re talking about some serious players here. Does it make sense? You’re talking about three world class players who happen to fill big needs for Arsenal so of course it does for them but it’s not happening. They’re not getting Gotze. They’ve got a sniff at Lewandowski if Dortmund decide to sell and if they’re the only bidders. Bender is much more realistic. One of the best destroyer midfielders in Europe and would view Arsenal as a move in the right direction unlinke the Dortmund two. Is the price right? No. £70m would just about get the Dortmund duo, never mind them and Bender. You’re probably talking more like £90m for these. Will it happen? 0/10 – all 3. 0/10 – Gotze. 4/10 – Lewandowski. 8/10 – Bender. Manchester City hope to sign winger Alexis Sanchez, 24, two years after the winger snubbed them for Barcelona. What’s the story? Sanchez isn’t a winger for a start and City don’t play wingers. Let’s nip that in the bud. Sanchez would bring some much needed pace to the City attack giving them the potential to counter attack more potently. Does it make sense? Yeah it does actually. Sanchez is a bench warmer at Barcelona. He was a strange buy for them initially anyway given that they play a possession game which doesn’t rely on speed. City desperately need a speedier dimension to their attack which has been a bit slow and cumbersome at times this year. Is the price right? Barcelona paid £30m but aren’t averse to taking a loss. Something like £20m could do it. Will it happen? 5/10 – maybe. Stoke City are closing in on £5m Denmark international Andreas Cornelius as a replacement for Peter Crouch. The 20-year-old Copenhagen striker scored one of his country’s goals in their 3-0 World Cup qualifying win against the Czech Republic last weekend. What’s the story? Pulis signs players from English clubs with only the two American exceptions. He doesn’t sign players from Europe. Does it make sense? They need a goal scorer and Cornelius has done well in Denmark but, see above. Is the price right? Stoke can easily afford the £5m. Will it happen? 0/10 – Unless Pulis changes tact completely. Sunderland sack Martin O’Neill for the right reasons, but at the wrong time. Complete lack of flair, goals & tactical sophistication Sunderland have one flair player in Stephane Sessegnon and he hasn’t played anything like as well as he did last season. They don’t have any other players who offer any craft or invention. The wingers Johnson and McClean have both been poor this year. Johnson looks a shadow of the player he was last season and as Martin Tyler perceptively observed on commentary today, it’s all well and good looking great for 20 minutes when you’re supplying Aguero or the opposition have Silva to distract them. It’s an altogether different task being the main man. In fact if anything, Johnson has been exposed as a one trick pony, and his one trick of cutting inside on to his left foot to shoot from the wing is so predictable. He hasn’t added anything else to his game as a starter and isn’t providing the stream of chances he has purchased to. On the other flank McClean is direct and works hard but he isn’t blessed with flair or creativity. In central midfield the situation is just as bad. N’Diaye is a worker, Cattermole is a tackler, Gardner has bustle but no subtlety, Larsson is a technician but isn’t a great passer. They lack a Cabaye or a McCarthy that their rivals at the bottom end of table have. There’s no one to take hold of the game and make something different happen or to set a clear and organised attacking structure. The ball gets shoved out wide for the wingers to cross to what is often one man in the box. It’s one dimensional and easy to stop. This chronic lack of creativity and flair utterly constricts them. Poor work in the transfer market O’Neill has made many poor signings at Sunderland, just as he did at Aston Villa. A lot of the side which he took to the top 6 regularly at Villa were players that he inherited. For every Ashley Young there was Harewood (£4m! ), Reo-Coker (£8m!) & Shorey (£3m!). At Sunderland his big signings have been Steven Fletcher (£12m), Adam Johnson (£12m) and Danny Graham (£5.5m). Fletcher has been Sunderland’s only source of goals this year but other than finishing he hasn’t offered much besides. Johnson has been a dud. Graham was exactly what Sunderland didn’t need to sign. Another hard running player who plays without subtlety or flair. Sunderland already had more than enough of that. That money needed to spent on a central midfielder who can pass the ball and offer some creativity, someone to make chances for others and score goals himself. Good start to the season based on defensive prowess, poor second half of season when lack of goals catch up on them Sunderland had one of the best defences in the league and could get a decent number of points from grinding out 1-0s at home. When they started leaking goals and not scoring them, those 1-0 wins turned to 1-0 losses. With the attack verging on paralysis the defence has started to leak silly goals. It’s a toxic combination. With Chelsea’s latest rotation induced defeat today at Southampton the question of the interim or temporary manager being unsuitable for league success raises it’s head again. One of the stats that is always wheeled out about the Abramovich era is that Chelsea have won more trophies than any Premier League club. Sure, that’s great, but since Abramovich bought the club they’ve still won one less league title than Manchester United and have only won it once since the departure of Jose Mourinho. Is this a good enough return on the significant investment and talent that the squad possesses? Clearly not. But, the manager carousel has churned out cup after cup. Chelsea have dominated the FA Cup in recent years and have also now wrapped up a Champions League trophy. So why are they more competitive in cups than the league? The trouble has been that because managers at Chelsea know they will get sacked if they don’t win the league, if they slip out of title contention they focus their energies on winning cups. If, as in the case of Di Matteo, they are sacked due to bad league performance, but have won cups they tend to get more opportunities. Di Matteo flagrantly and recklessly ignored the Premier League last season and the result was a 6th place finish, Chelsea’s lowest in a decade. But, because he was rotating his players to keep them fresh for the Champions League and FA Cup pursuits he was able to add two of the three most prestigious trophies an English club manager can win to his CV. It meant that if he hadn’t been offered a contract he would have hit the market as a hot commodity. The same is happening once again with Benitez. We all know he won’t be there next year. What looks more impressive when he goes for interviews at other clubs this summer? If he steers the club to an anonymous 2nd/3rd place, a marginal improvement on what he inherited? Or an FA Cup and as he attempted earlier in the season, League Cup and Club World Cup trophies. Clearly the second gives him a chance to open more doors. If he leads in by saying, ‘I’ve just won 3 trophies’ it sounds better than, ‘I took the club to second but that’s better than when I got here’. It’s not a reliable measure of performance but since when were manager’s appointed for entirely logical reasons? 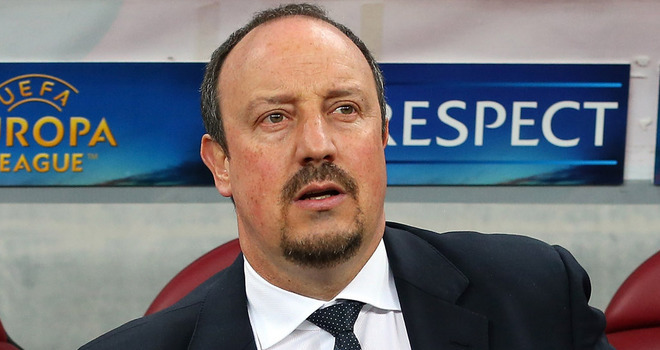 Benitez is just the latest manager to pass through Chelsea and use the club to grow his own credentials and palmares. It’s understandable really, if he’s going soon anyway why shouldn’t be look after his own interests first and foremost? The same goes for Di Matteo. He thought he was getting one shot at it, so why not try and win the Champions League when you may never get an opportunity to try again? 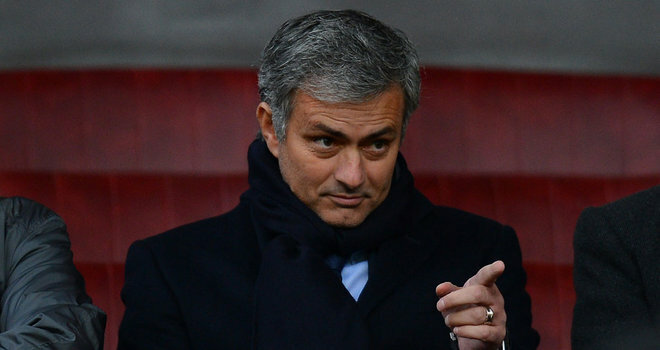 The issue lies with Chelsea’s impatience with managers. They have to say to the new man in the summer, your objective is to win the league – We don’t want another three semi-finals in the cups, we’ve won the FA Cup plenty lately, just win us the league. Play your full strength team in every league game and make sure we are the champions. Otherwise the new man, unless it’s Mourinho, will feel compelled to stretch the squad and try to win everything. Manchester United will renew their interest in 21-year-old Barcelona midfielder Thiago Alcantara after his father revealed he is ready to quit the club. 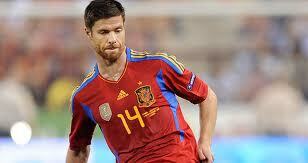 United have been keen on the Spain international for the past three years and had a £15m bid rejected 18 months ago. What’s the story? Thiago has been developed by Barcelona to succeed Xavi in much the same way Xavi took over from Guardiola. He’s seen increased game time over the last couple of years as they ease him in things. United have been on the look out for a ball playing midfielder. Does it make sense? I’m not sure signing a still to be developed prospect will win United the Champions League. The other thing is, if Thiago is being prepared for the Barcelona first team why would he want to abandon that so quickly? Mind you, United are a big club. The only thing from their point of view is; what if he becomes as good as Fabregas then wants to go home and prove himself? Is the price right? It’ll be a lot. At least £15m which is plenty for a fairly unproven player. Will it happen? 5/10 – I’ll sit on the fence a bit. 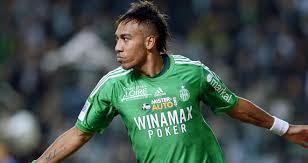 Arsenal and Newcastle target Pierre-Emerick Aubameyang, 23, believes a £10m bid will be enough for his Ligue 1 club St Etienne to let him leave. What’s the story? Shock horror, footballer believes he can get a big move for less than his club want. Does it make sense?St. Etienne should be holding out for as much as they can get rather than buckling. But £10m goes a long way in Ligue 1. Is the price right? He’s worth more in theory, but only if someone will pay. Will it happen? 7/10 – It sounds like he’s on his way to England but St Etienne really need to get more for him. Aston Villa manager Paul Lambert says Aston Villa must stop selling their star players and fears going back to “square one” if strikers Christian Benteke, 22, and Andreas Weimann, 21 are allowed to leave. Lambert sees the pair as essential to Villa’s prospects – and expects them to stay after pledging to improve them further. What’s the story? Ever since Villa sold James Milner to City they have become a selling club. They pretty much only have Benteke and Weimann left to sell now though and if they stay up and then sell them both they really will be staring in to the abyss. Does it make sense? They are both so desirable for different reasons. Surely they won’t sell both though? Is the price right? 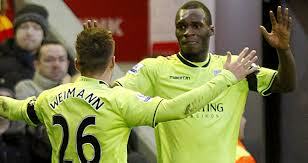 I think offers of Benteke’s true value, £12-15m, would be so tempting for Villa. Weimann has an expiring contract in 2014 so the bids would be smaller. 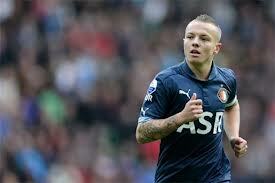 Fiorentina look set to beat Tottenham to the signature of Feyenoord midfielder Jordy Clasie, 21. What’s the story? It doesn’t say why Fiorentina are favoured, their biggest job will be holding on to Jovetic. How attractive a prospect are they for one of the continent’s top prospects to move to? Does it make sense? No, not really. Sure Fiorentina are battling for a Champions League spot this season but they haven’t do so for years. How sustainable is that? Particularly if they sell their best player? Is that a situation you want to get involved with rather than the stability that Spurs offer. Is the price right? They’d be spending most of any Jovetic money they get which then makes his sale questionable. Will it happen? 5/10 – maybe, but if these really are the clubs he has to choose from it’d be a surprise. 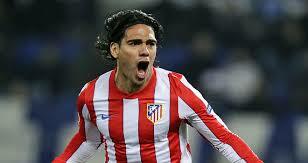 Chelsea have edged ahead of Manchester City and Real Madrid in the race to net £40m striker Falcao from Atletico Madrid. Talks between the Blues and the Spanish side over a summer move for the Colombian star, 27, are well under way. What’s the story? This is an interesting one. What would the reaction of Athletico fans be to them selling within Madrid? Not convinced by that. Splitting Chelsea and City is trickier. Both have money and are probably equally attractive propositions. Does it make sense? Signing the best pure 9 in the world always makes sense. Is the price right? They can all afford the £52m release clause. Posted in Fantasy XIs, Feature Column. Manchester City manager Roberto Mancini has come out and vocally criticised his captain and leader Vincent Kompany for choosing to play for Belgium during this week’s international break. Mancini lambasted Kompany because he was, as Mancini saw it, putting country before club. He said that he didn’t stop players playing for their country ‘but there are cases where the club is more important’. What he means by this is ‘cases where my job is on the line’. The thing is though, this isn’t just any old player playing in any old game. If he was at Barca and Spain raced Iniesta back in to the team he would have every right to say ‘come on, it’s not as if you don’t have anyone else’. But Kompany is the captain of a Belgium team which is on the verge of qualifying for, and being competitive at, their first World Cup in 12 years. That isn’t just any old game and Kompany was needed. If City were in the title race, something Mancini says they’re not, then you could understand it. But at the moment they are drifting along in second, pretty safe in their Champions League spot and with no hope of winning the league. The only thing on the line for City at the moment is Mancini’s job security. If they stutter in to 3rd or even 4th at the end of this year he will be right on the hot seat. By calling out Kompany he revealed that he feels under pressure himself. It’s not the first time he’s publically criticised a player, but Kompany is not the man to pick on. Mancini said that he felt Nasri had become complacent, that Aguero and Tevez had dropped a level, that Joe Hart should concentrate on not making mistakes, that Micah Richards was wrong to suggest the team is uncomfortable with new tactical shapes. Fine, they did have some merit, but more importantly, he’s not questioning the desire of these players aside from Nasri. Kompany is the very epitome of desire and leadership and he dragged his team to the title last season. He scored the goal against Man United that won City the league even before the Aguero drama. By saying that he felt Kompany had chosen his country over his club, Mancini was questioning Kompany’s desire to push to back to fitness for City. If there is one player who is above reproach at City it is surely Kompany. He is the tough, rugged leader of this team but Mancini shouldn’t blame his teams’ woes on him. He might want to look elsewhere when shifting the blame because if there is someone more popular than the Italian at City it is Kompany. Liverpool ready to bid for Ajax midfielder Christian Eriksen, 21, after watching him on international duty with Denmark. What’s the story? Eriksen is one of the most desirable prospects in Europe right now. He’s shown he can thrive in the Champions League as well as in Holland and is ready to step up. Liverpool are still on the hunt for technicains to fit Rodgers’ style of play. Does it make sense? I don’t think Liverpool will have the pull that’s needed to get him. Why would Eriksen leave to a club that hasn’t got any immediate prospects of Champions League football? Look at the last high priced attacker to leave Ajax and not get Champions League football. Is the price right? Due to an expiring contract it’ll probably be in the £12-15m region which Liverpool can afford. Will it happen? 5/10 – I guess if no one else comes in, but would he turn down Bayern/Juventus/Arsenal for Liverpool? Reds manager Brendan Rodgers has started planning for more attacking reinforcements adding Shakhtar Donetsk’s Armenian forward Henrikh Mkhitaryan, 24, to his summer wishlist. What’s the story? Same as before, Liverpool looking for attacking technicians. Does it make sense? Shakhtar aren’t in the business of selling their players unless for huge amounts. Mkhitaryan is a quality player, operating best behind a central striker so I guess there’s room for him. Is the price right? At least £15-20m if not more. It’s too hard to buy from Shakhtar so they’d be better off looking elsewhere. Will it happen? 3/10 – Can’t see it. 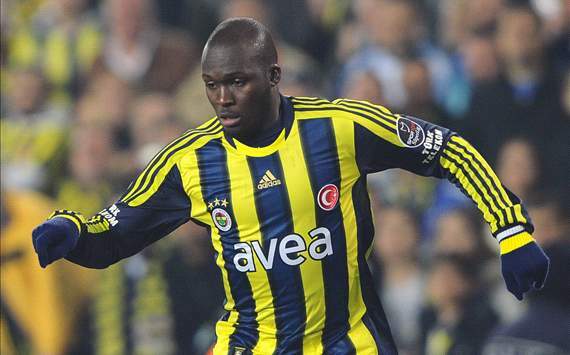 Tottenham hope to beat Liverpool to the signing of Fenerbahce’s Senegalese striker Moussa Sow, 27. What’s the story? If Tottenham are hoping to beat Liverpool then Liverpool would need to be interested in the first place. Where does big, strong athlete with basic technical skills fit in to the profile for a forward that Rodgers would sign? However, other than for the manufactured thrill of beating Liverpool, Spurs would be interested with a bit of a gap up top. Does it make sense? I don’t really see Sow as an upgrade on what Spurs have just now so it would be a bit sideways. They’d be better spending more for a big upgrade. He’s not going to Liverpool. Is the price right? Maybe £11-12m. But that’s too much for a sideways move for Spurs who could spend twice that and get a proper upgrade. Feyenoord have confirmed they have received an offer for Tottenham target Jordy Clasie, 21, but will wait until the end of the season before discussing whether to sell the midfielder. What’s the story? Clasie is like a young Xavi or countryman Seedorf but with a bit of extra bite in the tackle. His introduction to the first team has been the catalyst for Feyenoord’s resurgence. Spurs have missed that since losing Modric. Feyenoord are in the Eredivisie title shake up so makes sense to wait. Does it make sense? It make so much sense. Spurs need this type of player to properly run AVB’s system and putting him in midfield with Sandro or Dembele, both even, would give Spurs an ideal balance in midfield with plenty snap and quality. Is the price right? His contract is up in 2014 and Feyenoord are strapped for cash so probably £8-12m but that would be a snip. Will it happen? 9/10 – it’s too perfect not too. He fits what Spurs need on the pitch and their signing behaviour of recent years. Arsenal are considering an £8.4m move for Sporting Lisbon’s 25-year-old goalkeeper Rui Patricio. What’s the story? I want to bid £8.4m and not a penny more! Presumably this is a Euros translation. Is Patricio the keeper upgrade that Arsenal have been seeking? Does it make sense? It wouldn’t be un-Wenger like to make this kind of move. Spending too much on a not quite good enough player. He’d be there a few years before everyone wants another new one. Is the price right? Sporting are flat broke so it seems steep. Will it happen? 6/10 – there’s so many better keepers at fairly similar money but he’s done this before. The Gunners face competition from Russian club Anzhi Makhachkala in their bid to sign Barcelona goalkeeper Victor Valdes. Anzhi are offering the 31-year-old £160,000 a week. What’s the story? As soon as he announced he wanted to leave Barcelona (why?!) 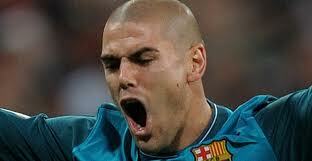 Valdes was linked with Arsenal. Anzhi are slinging money about and as yet Valdes’ motives for leaving Barcelona are unknown so maybe the big pay day is why. Does it make sense? Maybe, but I just can’t fathom why you’d want to leave your childhood club to play for Arsenal. How did that work out Cesc? Is the price right? He’s free but Arsenal can’t pay those wages. Will it happen? 3/10 – Not at that money to Arsenal. 4/10 – Anzhi. If he wants the money.